I have been making greens weekly for the past month and decided to post my version. Now, the recipe was given to me over the phone from my mother and written on a post it. I grew up watching her make greens and would season them for her so it is about recreation for me. I hope the instructions are clear and helpful. I have learned in the past few weeks to make sure you keep an eye on the greens so they do not get too soft and make sure not to over season them. I constantly taste them to make sure it does not taste like putting your tongue on a salt lick! Retrieve a large pot and place the smoked turkey wing at the bottom. Fill the pot with enough water to submerge the wing (not much more water than that). Bring the pot to a boil. Boil for a about 5 minutes. Cover reduce heat and let the wing simmer for about 40 minutes. While the water simmers, clean the greens. Soak them for at least 10-20 minutes in cold water and then rinse. Pick through the bunch and discard all brown pieces as well as thick stalks if you do not like them. 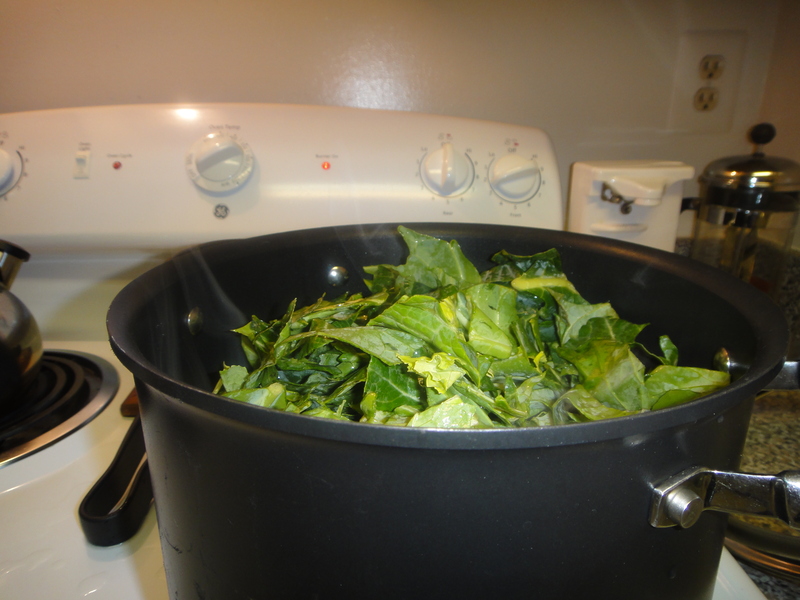 Add the greens to the pot. 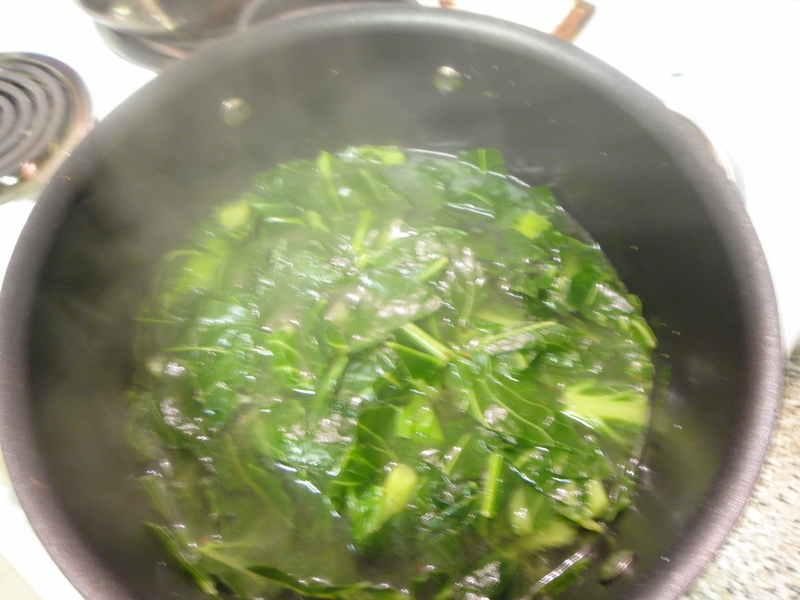 Bring to a boil and let the greens cook down until they are submerged in the water. 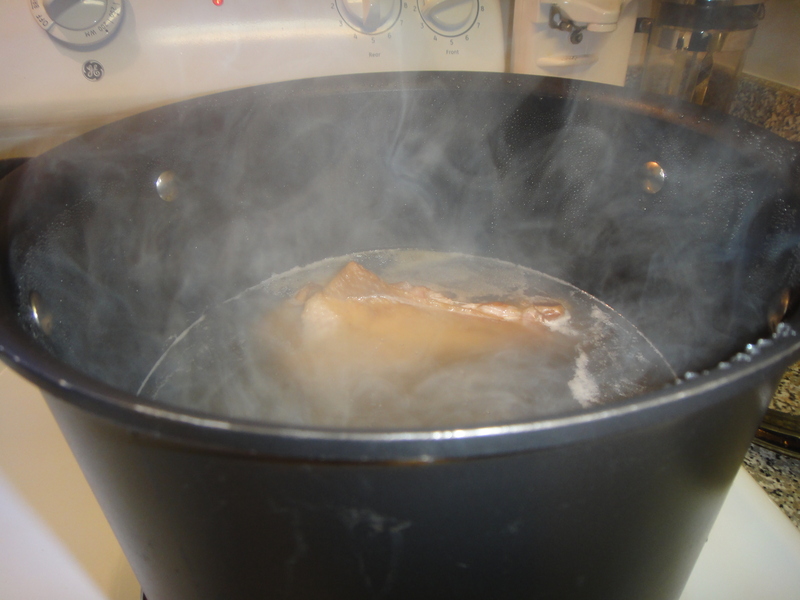 Cover and reduce to a simmer, for about 2-3 hours. The time all depends on how long it takes for the greens to soften (but not get mushy). As they cook, check on them every so often and stir. Add any combination of seasoning salt, table salt or pepper. This all depends on how you want it to taste. I generally add a little seasoning salt, table salt and red pepper flakes for some spice. Before serving, take the turkey wing out of the pot. The skin meat should be falling off the bone at this point. Cut off the meat and put back into the pot with the greens. 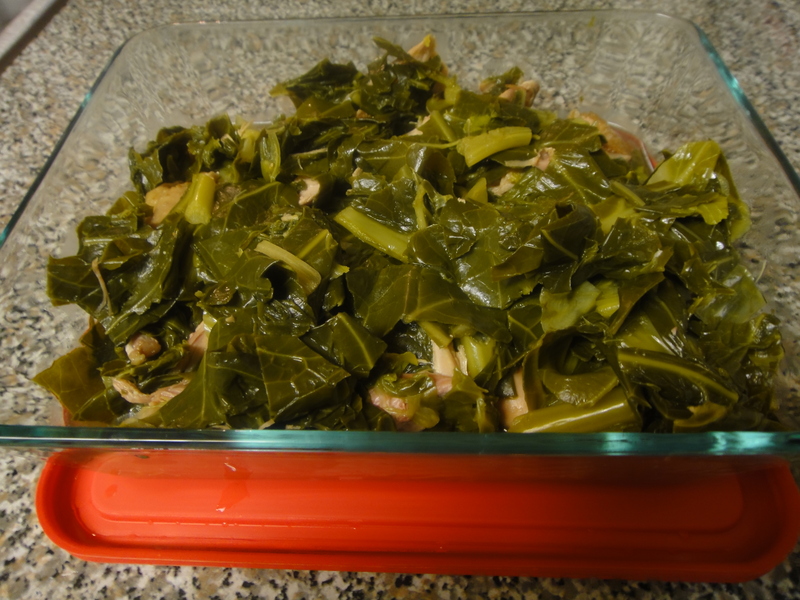 For me there is nothing better than a forkful of greens and turkey wing meat! I keep seeing those bags of glory greens at the grocery store and now I know what to do w them. Thanks! They are good when I feel way too lazy to break up the greens. While they have been cleaned, I still soak them and pick through them just in case. 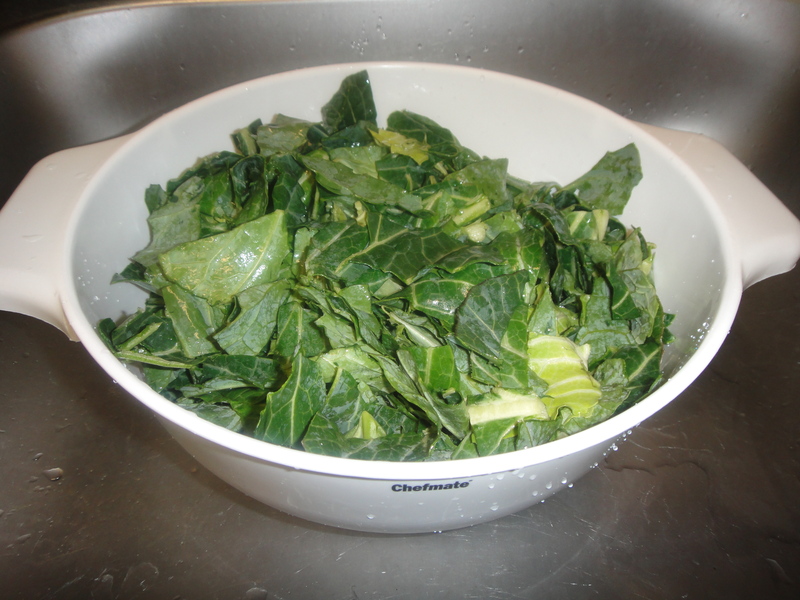 Like fresh greens, they can sometimes taste bad and that is just the bunch. Can only control that part so much. Glad I could help!